John Willoughby is one of Dashwood family’s country neighbors in Devon in Jane Austen’s Sense and Sensibility, but what do we know of the character. He and Sir John Middleton serve as bookends in the country society. Willoughby literally sweeps Marianne Dashwood off her feet with his first acquaintance in the novel. He assists her home when Marianne falls and twists her ankle. In Willoughby, Marianne discovers a man she admires for his dash. She comments “that is what a young man ought to be” in describing Willoughby to others, a line which is reminiscent of Jane Bennet’s evaluation of Charles Bingley. In her naive fashion, Marianne does not recognize that a man of Willoughby’s cut MUST marry for money for he loves his horses, society, and women. He is a landed gentleman living beyond his means. His behavior is a statement to the hereditary privileges granted men of his social class. Although Marianne terms him courteous and gallant, but he is a man-about-time. The character of Willoughby in the novel holds no qualms about how he treats the women he encounters (i.e., what he did to Colonel Brandon’s ward Eliza). His charm is everything for which Marianne could hope: handsome, loves poetry and music, rich, etc. In truth, Willoughby’s gaming debts and his life of debauchery consume him. He will become the typical country squire. The rivalry between Willoughby and Colonel Brandon contrasts the two men in broad strokes. This entry was posted in Austen actors, books, British history, Great Britain, Jane Austen, Living in the Regency, Regency era, Uncategorized and tagged country squire, Jane Austen, John Willoughby, Sense and Sensibility. Bookmark the permalink. Reblogged this on Dutchess of Romance. I am not so certain. For me, Willoughby always showed a lack of character. He was pushy in his desire to seek Marianne out and callous when he dropped her. His appearance when she was ill was overly dramatic and it seemed he wanted to confirm his conquest was going to due for love of him, an ego booster for him. I think more time should have been given to the Brandon courtship and Marianne’s gained maturity after her episode, though. Brandon represented steadiness of character and good morals. 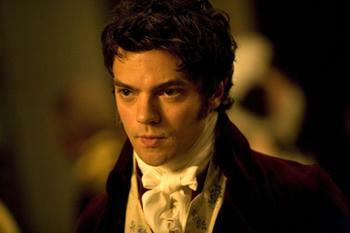 Austen will have that will out in the end for her main characters, but she was no fool. Men in her time seldom felt any real consequences for their immoral actions. Willoughby’s fate was determined by the society in which she lived. I do not disagree with your points.This post was my head trying to decide whether I found any redeeming qualities in Willougby. It was my ramblings. Thanks for sharing your opinions. I never thought about the possibility that anyone found Marianne kicking Willoughby to the curb less than satisfying. I found it immensely so, and although when I was younger I found the idea of a young woman marrying a much older man repugnant, I don’t feel that way anymore. Especially not about Brandon and Marianne. For me, their story was not so much about social tension as it was about depth of character. Brandon’s inherent goodness and integrity made him more worthy than Willoughby, whose weakness and flaws, when exposed, proved him the lesser man. Great post, Regina. Lots to think about here. I am pleased you enjoyed the piece, Diana. I am attempting to revisit Austen’s stories with a more critical eye. I always found S&S wanting in comparison to other Austen pieces. I was never invested in any of the characters, and I wanted to know why. I never liked Willoughby from his first appearance in the story, and the more I saw and read of him the more I disliked him, ( I knew somebody quite like him which may have prejudiced me more). 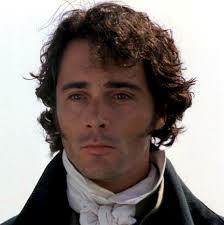 But Colonel Brandon always appealed to me, he is never anything but genuine. My opinion of Brandon is vested in Rickman’s portrayal of the character in the 1995 film. I had read the book a few times before I saw the movie, would you believe that it was only last year that I saw the movie for the first time when I bought the DVD. I’m really not much of a movie goer or watcher.